The above leaf has mines of two agromyzid fly larvae, one of which is still present (the yellow blob near the right end of the lower mine). Erigeron hosts a dozen or so agromyzid species and I’m not sure yet which one this is. This puffy yellowish blotch is made by a moth, Parectopa plantaginisella (Gracillariidae). 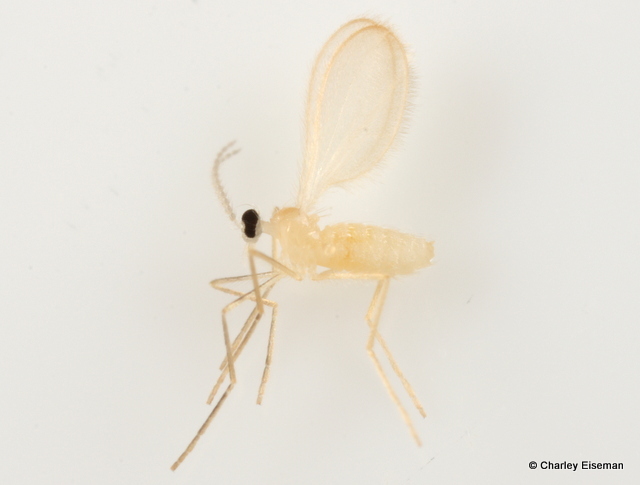 Incidentally, V. T. Chambers named this moth Gracilaria plantaginisella in 1872 after the genus of plantain (Plantago) because he thought that was the host plant at the time, but in 1877 he tried to rename it G. erigeronella, having realized that the true host was Erigeron. He wrote, “It is not necessary to explain how I was led into the error of supposing that this species feeds on Plantago instead of Erigeron.” I suspect that he originally mistook the broad leaves in a basal rosette of an Erigeron for plantain and didn’t want to admit it. Plantain continues to be erroneously reported as a host plant for this species, and the recent Peterson moth guide has compounded this error by giving fleabane and plantain as the hosts for Parectopa robiniella, which actually mines in black locust leaves. But I digress. The fastidious caterpillar returns to the beginning of its mine between meals and deposits its droppings in a pile on the leaf surface. I believe this leaf mine is unknown to science, whether or not the adult moth has a name, but I suspect it is one of the “twirler moths” (Gelechiidae). Unfortunately I’ve only found one of these mines so far, and I’m not sure if the larva still alive, but I’ll certainly look for more next year. 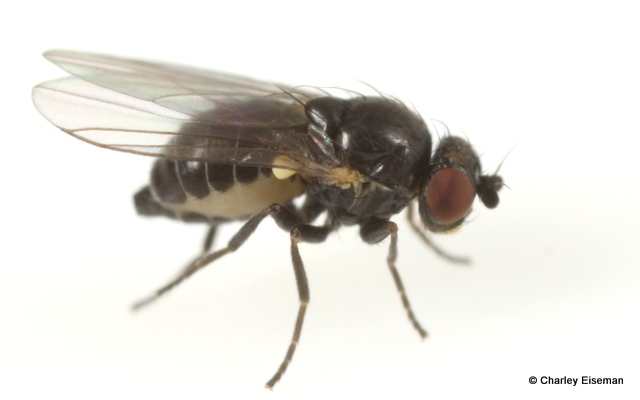 Over the past few days, several adult flies have emerged from mines like the ones in the first photo. As you can see, they’re pretty generic-looking flies, and I won’t know exactly what they are until Owen Lonsdale examines the specimens. 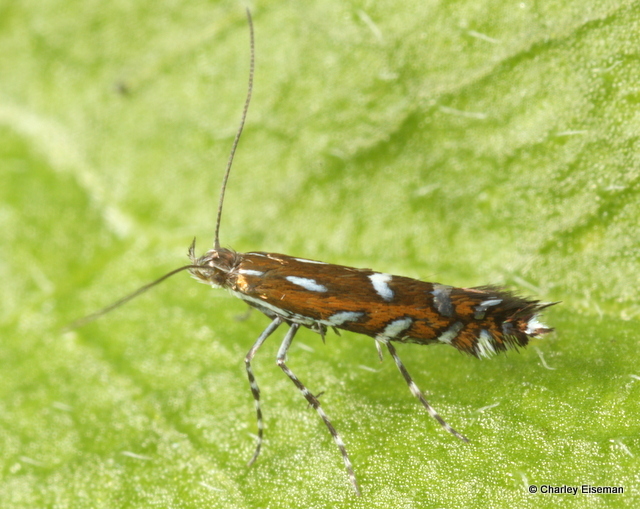 Also over the past few days, eight adults of Parectopa plantaginisella have emerged from leaves I collected. They are gorgeous creatures, and since I already knew what they were, I was happy to be able to release them unharmed back to their natal daisy fleabane plant this morning after I’d taken some pictures. Like many gracillariids, their long antennae were constantly whirling about even though most of them otherwise held still long enough for me to get some good shots. I’m not sure exactly what they are yet or how they got there. Although this fleabane had galls of Asteromyia modesta on some of its leaves, these clearly do not belong to that species, which I’ve accidentally reared previously from a goldenrod leaf. There are also, of course, many other insects using this plant, including various bees and flies visiting the flowers, but I figure that any plant that is hosting three different leafminers is already earning its keep around here. 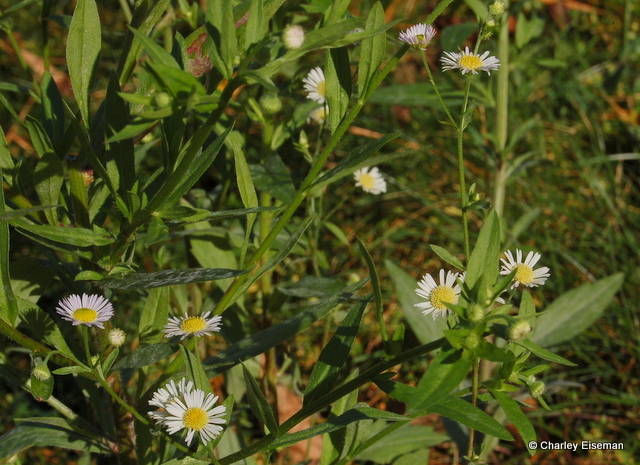 This entry was posted in Uncategorized and tagged Agromyzidae, Asteraceae, daisy fleabane, Diptera, Erigeron, Erigeron annuus, fleabane, flower, fly, Gelechiidae, Gracillariidae, larva, leaf mine, moth, Parectopa, Parectopa plantaginisella. Bookmark the permalink. Great post, Charley. I have similar feelings about tidy lawns. That P. plantaginisella really is a beauty. Make sure to post an updated yard photo next year! I will! We’ve already planted a lot, but it doesn’t look like much yet, with winter coming on. Nice blog. 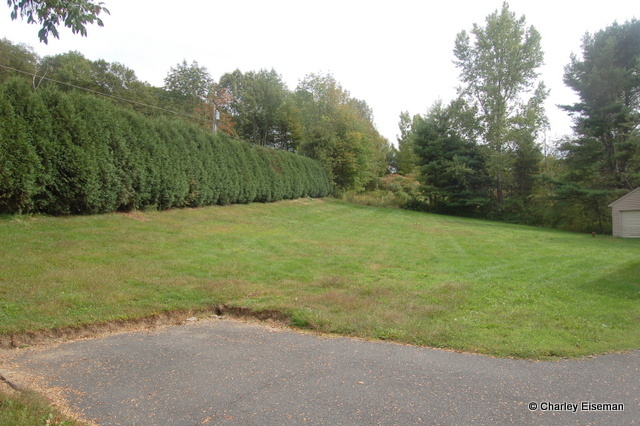 I’ve been working on reducing my lawn for years, and for the same reasons. On the subject of the crucial link between native plant species and native wildlife, a book well worth reading is “Bringing Nature Home,” by Douglas Tallamy. 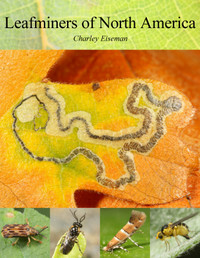 Tallamy is a professional entomologist as well as a gifted writer, and his book provides an authoritative and interesting perspective on the subject. It also contains many excellent photos. I have a general question for you about rearing out gall-formers – I have had almost no luck rearing them in ziplock bags, irrespective of the type of gall and host plant. Is it because I’ve interrupted gall development by severing the leaf or twig from the host tree? Do I need to bag and monitor the galls in situ? Would it be better to take a larger branch and keep it in water or something along those lines? I suppose what I am really asking is W.W.C.E.D.? It depends on the type of gall, but my general advice is to wait until the gall is fully developed before collecting it. I’ve never tried bagging them; I just either look around for the “ripest” ones or come back and check periodically. I do think collecting galls too early interrupts gall development and/or stops the flow of nutrients to the insects inside. 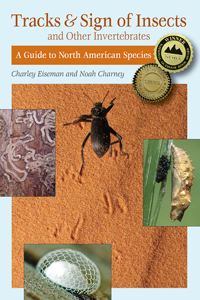 I so benefit from, and enjoy your shared online reasearch…thank you and bravo Charley! My first ‘pitch’ is that you introduce (?) ‘Dutch White Clover’ to the portions of that lawn ( congradulations on your new home grounds)..that you have a gentle mix of ‘dutch White Clover’ in the portions on lawn meadow grasses which will be kept amongst the plantings you want to introduce. All our pollinators will cheer this upgrade from ‘barren monoculture’. Just a few decades ago…most ‘lawn seed mixes’ included clovers…and were not: ‘monoculture’ of one grass plant. Your locales biodiversity will blossum (my pun!) from such a lawn upgrade. My second ‘pitch’ is that you think carefully about which fruit trees you adopt to your home grounds. The incredible amount of ‘drops’ from my apple trees, my black walnut trees, etc….this is hundreds of pounds of ‘insect food’…the deer and chipmunks and squirrels..can not manage it all…and I have a fulltime job…and of course outdoor grounds chores ….if you can make time for picking up ‘drops’ from fruit trees…good for you..factor in ‘the messy amount of drops’…per fruit trees you wil have in your home grounds. I just wish I knew what to do with the poundage of dropped apples and dropped walnuts from my grounds. My third ‘pitch’ is to not trust dandelions, or mustard plants…please ‘pull them’! Here in central NY/fingerlakes NY ..as of 10/23/13..some dandelions are still in flower…these plants are so aggressive..their hordes will not suffer if you encourage other plants on your lawn. Wonderful demonstration of the biodiversity explosion that awaits us when the Era of Lawns comes to an end. Bring It On! I concur about the ‘tidy lawns’ – booooring. The law at my house is, you can’t kill it unless you know what it is. It is amazing the things you see if you just leave things alone. Plus if a person knows what something is, I find they are less likely to kill it.